You have been studying English for some years and would like to take an English language proficiency exam. There are several to choose from, but you think TOEFL would be a good choice for several reasons: it is widely accepted and trusted; it demonstrates you have the English skills you need to succeed in different jobs or to start higher education in any of the English-speaking universities scattered over the world; to travel abroad and be able to communicate in one of the most-spoken languages. Furthermore, you have tons of resources to use to achieve your goal: score high in the TOEFL. So, what do you need to do to crack this exam? Study the TOEFL format and try to feel comfortable with it. Whenever you take a test, any test, you should get familiar with its format to know what to expect on the day of the exam. This lowers your anxiety and helps you with your answers. If you are taking the exam because you want to enter a higher education institution or university, check out the score required. The higher the score you need, the more you’ll have to prepare for the test. So, as we always say at Wall Street English: practice makes perfect! Practice, practice, practice! That’s the key to success. Expand your vocabulary: read as much as possible –newspapers, magazines, articles on the web. Choose articles about a wide variety of topics. Most of the passages included in the reading comprehension section are about academic topics: physics, mathematics, biology, history, psychology, marketing, etc. Even though you are not supposed to “know” all these topics, but you should be able to understand the vocabulary used in each discipline. Language courses don’t generally cover these topics so you will have to practice new words and expressions to enhance your vocabulary. When you start reading about these topics you will find quite a number of new words. When you come across them, try to understand the meaning through the context. If you can’t, use an English-English dictionary and take advantage to look for synonyms and antonyms and also try to find out how prefixes or suffixes added to those words can change their meaning. This is the first section so, if you can handle these questions at a fast pace –good timing is a must in this test- and with confidence, you’ll feel much better to face the rest. Try to get CD’s or podcasts that reproduce pieces from previous tests. Play them once and train yourself to listen fully from the start. Become an expert “note taker”: jot down main ideas, presentation and key details. When you listen to a conversation, pay special attention to distinguish between what the speakers state and what opinions they have. We have recommended you to listen to songs, watch videos without subtitles, listen to podcasts, etc. That is not enough for the TOEFL. You have to listen to academic passages/articles for the same reason mentioned when dealing with the reading section. Rather than listening to dramas, listen to documentaries which are more likely to appear in a TOEFL test. Remember you won’t be in front of an examiner, but of a computer –something you should be quite familiar with as a WSE student. When you answer the questions, make sure to do it in an organized way, using transition words for the listener to follow your reasoning. You don’t need to have a “native-like” pronunciation, but try to use words you feel comfortable with and know how to pronounce well. Keep your answers simple: no elaborated sentences, precise vocabulary and only use idiomatic expressions if you are absolutely sure they are appropriate. and writing a short essay about what you’ve read and listened to. Tip: Take notes while you listen summarizing the main points and trying to find how they relate to specific points in the reading passage. learn how to paraphrase –use different words or expressions to express the same idea. Improve your ability to find similarities and differences expressed in articles about the same topic. Write summaries of different texts. You will be asked to write an essay about familiar topics using your personal experience or beliefs. Remember all essays should have the following structure: Introduction, development, conclusion. These are only a few of the strategies you should develop to pass this test with flying colors. Good luck! 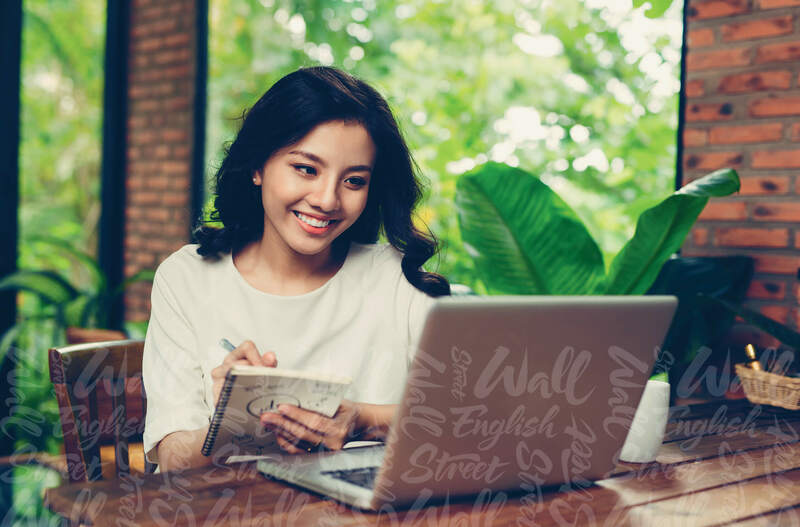 Read more about the TOEFL exam and how you can prepare with Wall Street English. Practice for TOEFL now with our TOEFL Practice exam below. This is one of the most intresting article i have ever read about learning English as a second language.